You know how easy it is to make pulled pork? 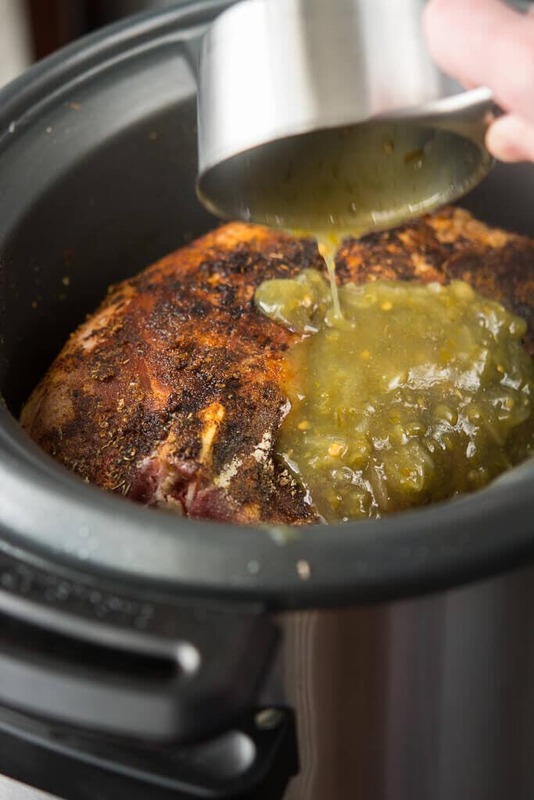 I mean, it’s like throw a hunk of meat in the slow cooker with a couple seasonings, etc. and at the end of the day, delicious juicy meat! The hard part is figuring out an interesting way to eat it. Sandwiches are great, but can get kind of tiring sometimes. 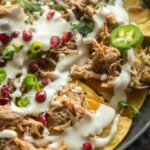 So, how about today we do some pulled pork nachos?! 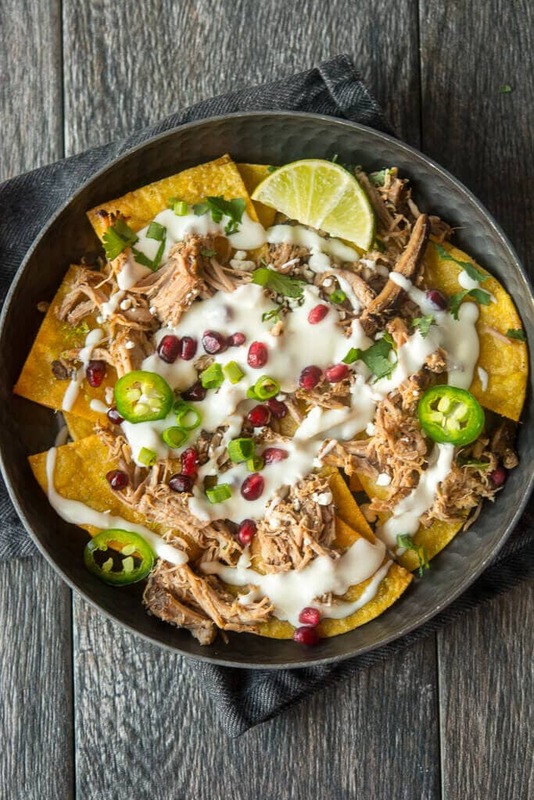 Bonus is that these are perfect if you are still looking for some game day eats. 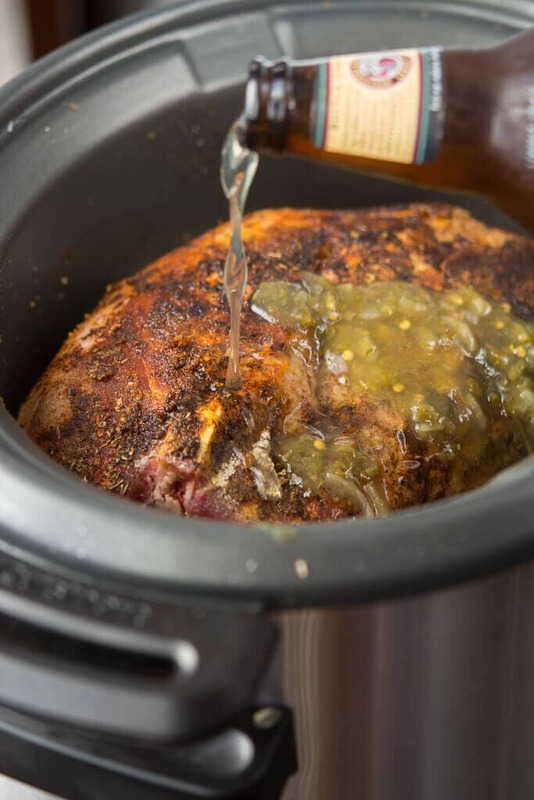 To make this pulled pork we just need to rub a pork shoulder with a few simple dried seasonings plus some garlic and then brown it up until nice and golden. Then simply pour in some green salsa and some beer and let it cook all day. 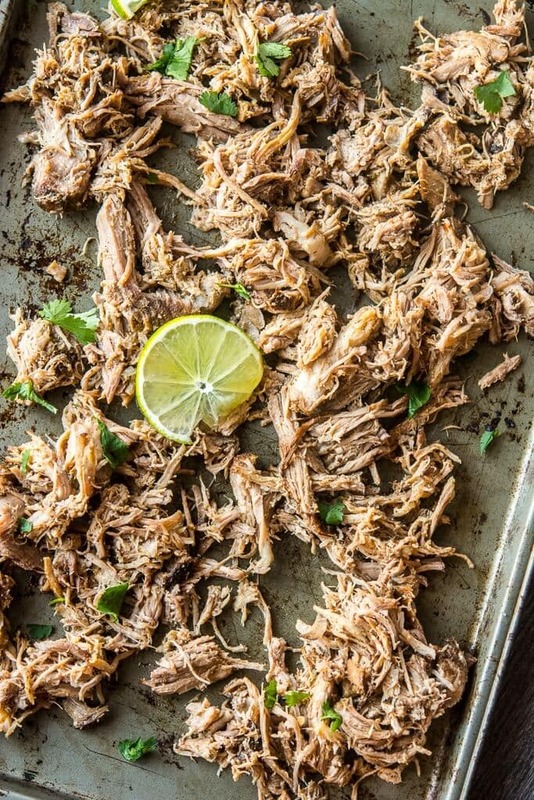 The result is this amazingly delicious and tender pulled pork that you can use in probably a billion ways. 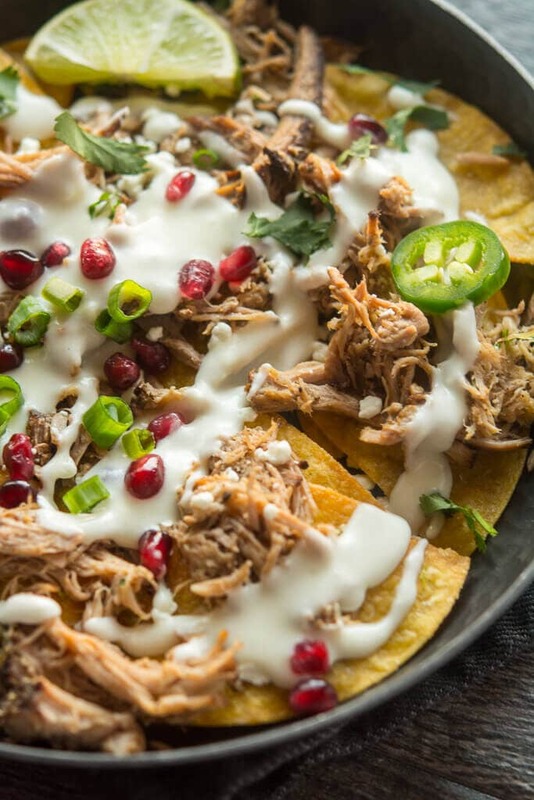 But today we are going to use it for these crazy good nachos. 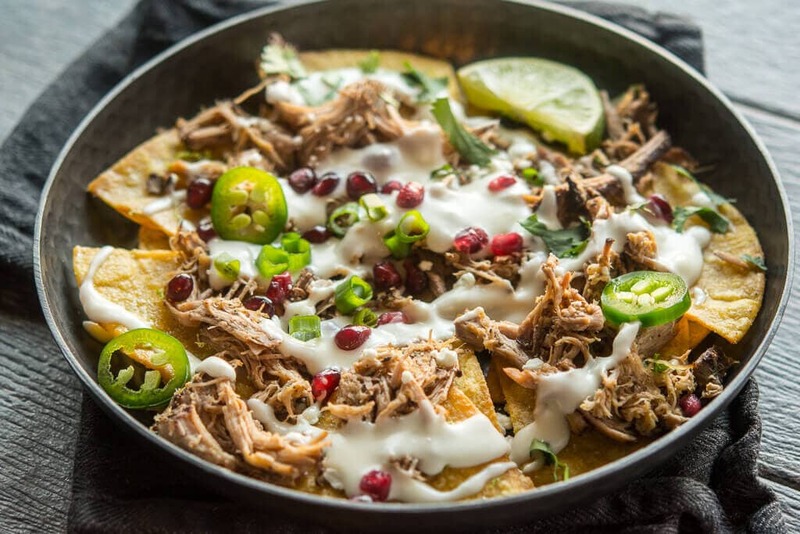 Nachos that have homemade chips, homemade goat cheese sauce and little pomegranate arils on top! 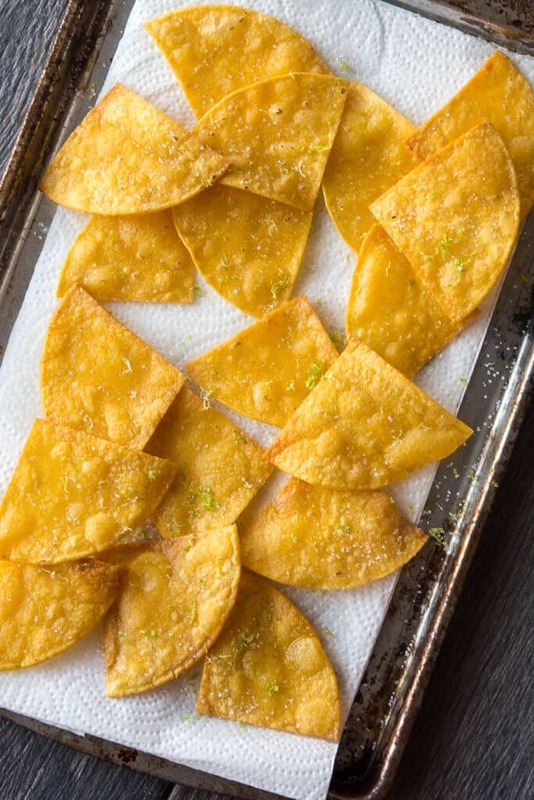 Making homemade chips really isn’t a ton of work, but it’s still not something I do too often. But they are a great treat and so worth it when you are trying to make a truly outstanding meal/snack. The goat cheese sauce is super simple and only takes minutes. The little pomegranate arils are the best little pop of sweet to finish off this unique but tasty treat! And yes, we at them for dinner! Could not pin your post to Pinterest. It gave me the message it “may lead to spam.” Though you’d like to know, as I’ve pinned many of your recipes before this.